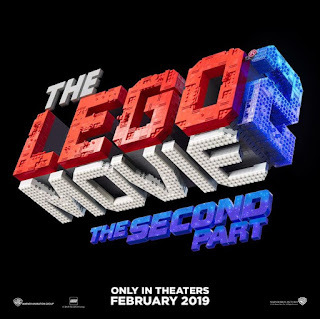 You, Me and Movies: Offiial Title for "LEGO Movie 2!" The official title is "The Lego Movie 2: The Second Part"
I really, really loved "The LEGO Movie," it was the surprise hit of the year for me, as I wasn't expecting much from it initially. So I am very much on board for The Second Part. Chris Pratt, Elizabeth Banks, Channing Tatum, Jonah Hill and Will Arnett are all set to return. Tiffany Haddish has joined the cast, but in a mystery role! The comedic duo who wrote and directed the first film, Phil Lord and Chris Miller, will write and produce this sequel. Mike Mitchell is set to direct! Everything is about to get awesome again!